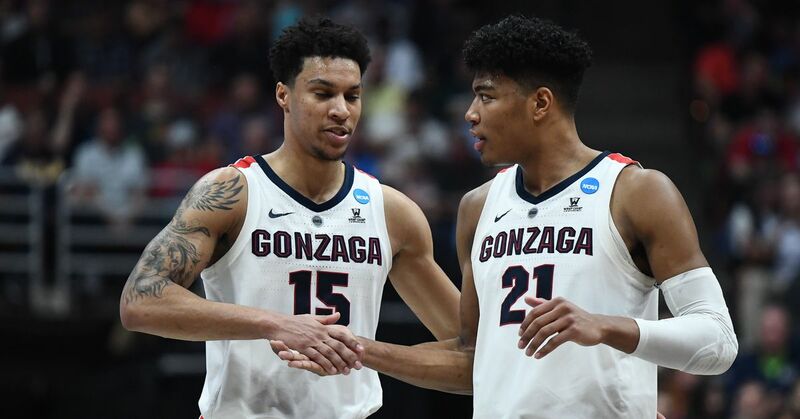 Every year, fans of college basketball can't help but contemplate the NCAA men's tournament and conjure up a dream showdown they'd love to see between two future NBA stars. "Wouldn't it be awesome if..." is the mantra. Then madness happens, favorites lose and some of the players we most want to see match up with each another make mournfully early departures. But in 2019, we won't have to fear missing out on what will be the tournament's marquee collision between individuals. Murray State's Ja Morant and Marquette's Markus Howard are the Big Dance's only two players who rank among the nation's top 10 scorers, and they will square off in the West Region on Thursday in a first-round game that threatens to set the nets on fire at XL Center in Hartford, Connecticut. Howard's average of 25 points per game ranked sixth nationally for the fifth-seeded Golden Eagles and included three outrageous explosions. He torched Kansas State and Buffalo for 45 points apiece in December, hitting all seven of his two-pointers against the Wildcats and adding nine more against the Bulls. Then, in January, the 5'11" junior rose up for a Big East-record 53 points against Creighton in overtime. Having hit for 52 against Providence the previous season, Howard became the only Division I player in the last 20 seasons to have multiple 50-point games. Howard also led 24-9 Marquette in assists (four per game), but his height figures to cap his draft prospects as a second-rounder. 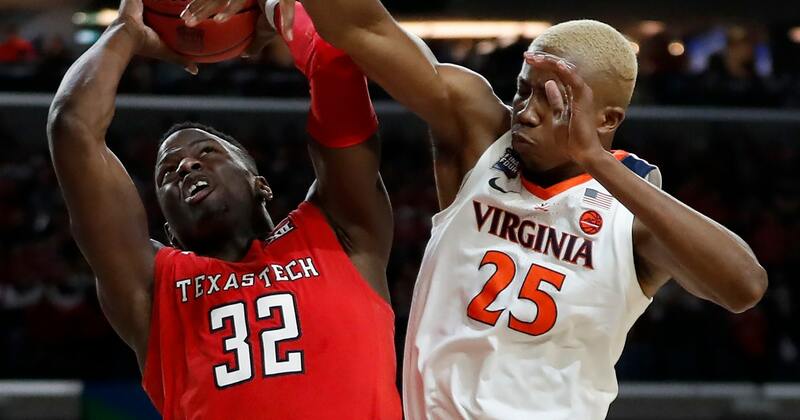 But no one has seen his draft stock rise more this season than Morant, who was widely ignored by recruiters coming out of high school in South Carolina. Pro scouts and execs have flocked to Morant's games, including Los Angeles Lakers president Magic Johnson, who sat courtside for the Ohio Valley Conference semifinals. It won't be a shock if the 19-year-old sophomore goes No. 2 overall behind Duke's Zion Williamson, his AAU teammate in South Carolina a few summers ago. And unless Morant is a drastic disappointment in the tourney, he's a lock to be the OVC's first top-five pick since Clem Haskins in 1967. Morant ranked eighth with an average of 24.6 points per game, but that hardly tells his story. He also quarterbacked the 12th-seeded Racers with a nation-leading 10.0 assists a game and had fewer than seven dimes in only two of his last 26 outings. This do-it-all workhorse played all 40 minutes in a dozen games and worked fewer than 30 only twice for the 27-4 Racers. His game log is filled with mid-major opponents, but in a six-point loss to Alabama in November—and with nearly 40 scouts in the house at Coleman Coliseum in Tuscaloosa—Morant put up 38 points that included this tomahawk dunk in the final minutes. That was the exclamation point that inspired one of the rarest things seen in sports—a standing ovation from the opposing team's fans. Morant also impressed Alabama head coach Avery Johnson, who's a soulmate of sorts. Morant's 311 assists this season mark only the 14th time that's been accomplished. Johnson is the only one who's on that list twice, and he left no doubt that Morant has earned his place in the club. "I saw flashbacks of a lot of guys I played against," Johnson said, per Michael Casagrande of AL.com. "Whether it's the old Isiah Thomas—the Detroit Pistons' Isiah Thomas—that craftiness and cleverness. John Stockton passing ability. Russell Westbrook athletic ability. My God." The 6'3", 175-pound Morant doesn't have Westbrook’s formidable build, but he slashes the lane and powers fast breaks with the same authority. He has a marvelous left hand that's accurate even on lengthy passes, and so far, he's survived all the midair collisions he initiates. Ironically, his sometimes-angry, sometimes-delicate work above the rim ignites memories of a Marquette legend, Dwyane Wade. Howard is shorter than 6'3" Stephen Curry, but the just-turned-20 Arizonan still deserves comparisons to the six-time All-Star because of the beauty of his step-back shot. Howard told Chuck Culpepper of the Washington Post that he's never had concerns about his size: "From a young age, I was just always really, really, really aggressive, just in terms of how I approached the game, how I played it, my intensity I played with. That was always something that, you know, I prided myself on, and it never really dawned on me that I would ever be too small to play the game." It helps that his oldest brother, Desmond, runs a personal-training business in Arizona. "Two workouts a day with me, plus a shooting workout," Desmond said of Markus' offseason regimen, per Ben Steele of the Milwaukee Journal Sentinel. "Then he does core. Then he works out with his brother; then he's with my dad for strength and conditioning, stretching. It's no joke." Howard's other older brother, Jordan, finished third in scoring in the 2017-18 season with Central Arkansas and plays in the NBA's G League. His father, Chuck, who played football at Indiana, also has contributed training philosophies. Howard also is the only student-athlete on the NCAA's Division I Men's Basketball Oversight Committee. He has used that platform to address the pressure and mental health issues many college athletes experience, and he has talked openly about seeing a sports psychologist weekly. "I've been a lot happier," Howard told Lori Nickel of the Milwaukee Journal Sentinel. "I feel like I'm solving the problem before it happens, by being able to talk about things that I'm thinking about. Where I'm at right now compared to where I was two years ago, it's unbelievable how much I've changed." Every offensive play runs through Morant, and Murray State head coach Matt McMahon has no intention of pulling the reins despite his 5.2 turnovers per game. "I want him to play with all the creativity and freedom and confidence he can," McMahon said, per Chris Dortch of NBA.com. He later added: "Everyone talks about his freakish athleticism, his explosiveness, his change of speed. That's all very accurate. He's elite in those categories. But now you combine that with a guy who has an unbelievable IQ, feel for the game and vision. To me, he's a basketball genius." Looking way ahead, it seems certain we'll see Morant in the NBA's Slam Dunk Contest at some point. Howard's 40.8 percentage from long distance will make him a candidate for the All-Star Weekend three-point shootout. And the only sad thing about the Howard-Morant matchup is that after it's over, one of them will be out of the tournament.